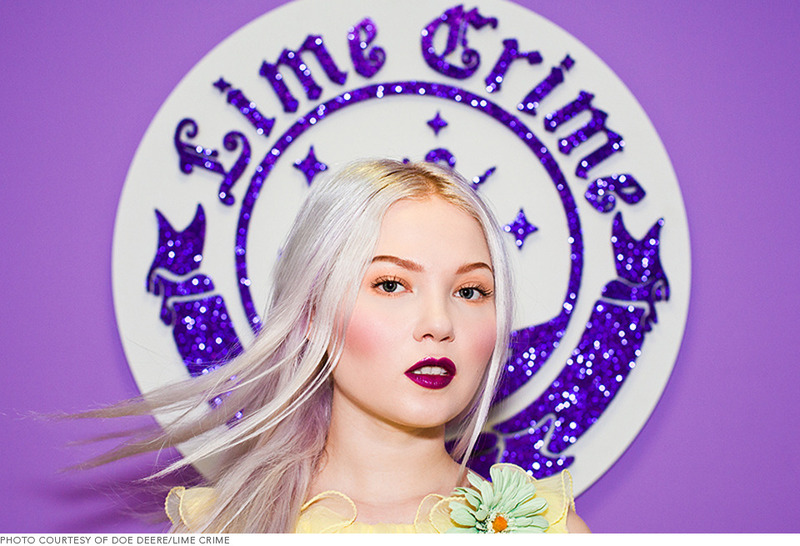 Doe Deere, the mastermind behind illustrious makeup line Lime Crime, is bringing a fresh dose of imagination to cosmetics. Doe may be the Unicorn Queen of the makeup world, but she is also the armor holding her sugary sweet brand together—with enough determination and whimsy to blow down a house of bricks. Her brand—once a small, indie operation—is growing at a remarkable speed, and Doe has become a single-minded visionary, creating a fantasy world through beauty. 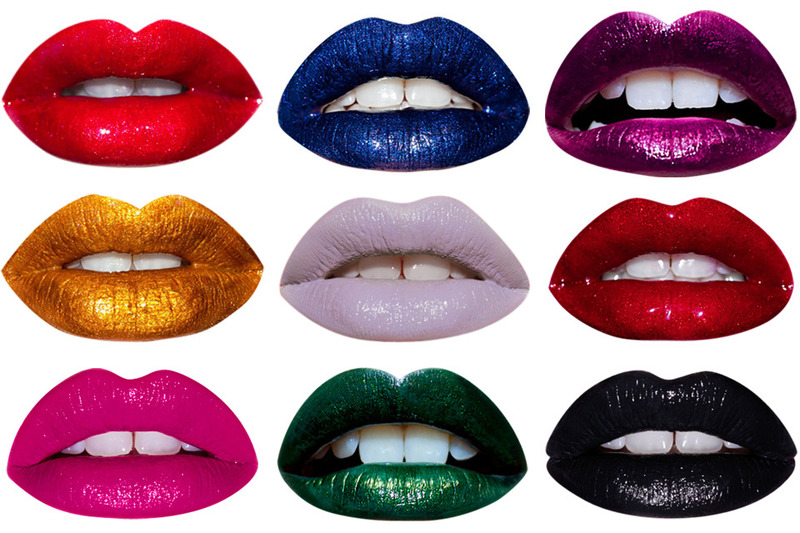 Lime Crime has achieved enormous success since its start in 2008. 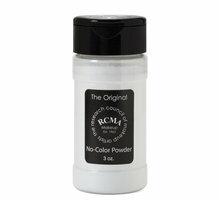 Now the company boasts an extensive line that includes four eye shadow palettes, a variety of loose pigments, a line of rainbow-colored liquid liners, a whimsical set of pastel nail polish, a selection of glittery lip gloss, and, of course, a seemingly limitless line of criminally coveted lipsticks. The sheer variety of products—many of which were launched just within the last year--has left her many enthusiasts (including us) spellbound. To some, Doe's lacy gloves look like they may be hiding fists of iron, but the real Doe is much more down to earth. 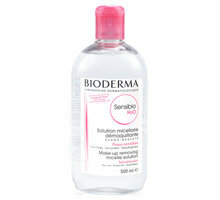 She is open and honest about her experience in the world of cosmetics. We took some time out with Doe to get an inside look at what it takes to start a fairy-tale business in the real world. B: What inspired you to start Lime Crime? Ever since I was little, I’ve had a love for fairy-tales and makeup. I wanted to create a cruelty-free makeup brand that not only offered interesting products, but embodied the idea of fantasy. With Lime Crime, I was able to do just that! B: How did you come up with the name? It just rolled off my tongue. You know how in fairy-tales things often rhyme for no reason? It was the same in this case. At Lime Crime we love puns and wordplay and we like to give our products whimsical names such Airborne Unicorn and Countessa Fluorescent to keep things fun, both for ourselves and our customers! B: Can you the describe the world of Lime Crime? Where does it come from? I've always been fascinated with fantasy and mythology. Growing up in Russia, Eastern European fairy tales played a big part in the formation of my inner world. When my preschool teacher asked what I wanted to be when I grew up, I answered, "A mermaid" while combing my hair with my fingers! Few things have changed since! Later on in life I discovered fantasy films such as The Labyrinth, The Dark Crystal, and The Last Unicorn. It was meant to be. I pronounced myself “The Unicorn Queen” and never looked back! 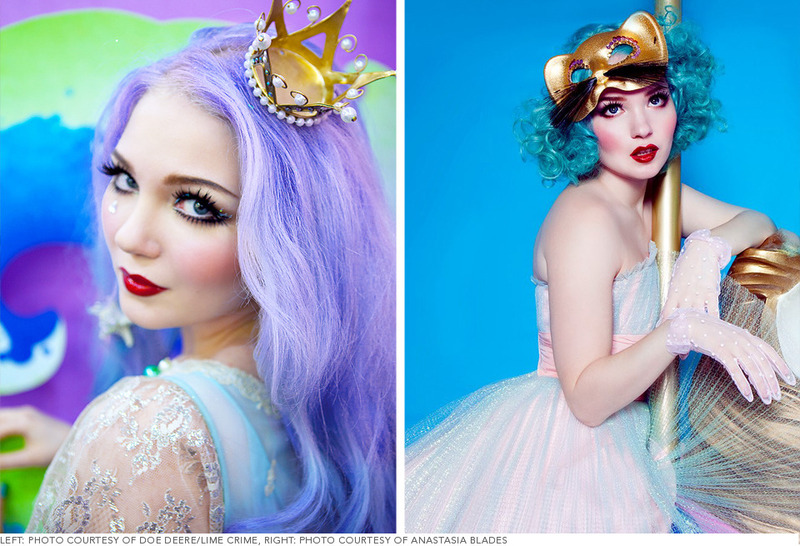 Lime Crime's Unicorn mascot stands for beauty, individuality, and kindness to animals. B: How did you decide on the purple packaging? How could I not choose purple?! It's a fantastic color—different and ever-changing, much like myself. B: How do you go about choosing the colors, the imagery, and the message to create each of your thematic collections? Themes are an enormous source of inspiration and incredibly important to me. They were the driving force behind all my fantasy-themed micro-releases this year. 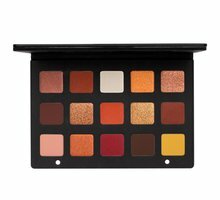 I’ve always been obsessed with mythical creatures and concepts, and eye shadow palettes seem to be the perfect medium to express that. For instance, our latest collection Alchemy conjures up visions of swirling potions in shades of shifting purples, burning coppers, and poisonous greens. I think when you are really feeling a theme the color palette materializes all by itself! B: What inspires you on a day to day basis? I'm really into fashion, photography, music and subcultures. I love to read. My idol is Karl Lagerfeld: a fearless visionary and social provocateur! B: What’s your worldview of beauty and makeup? 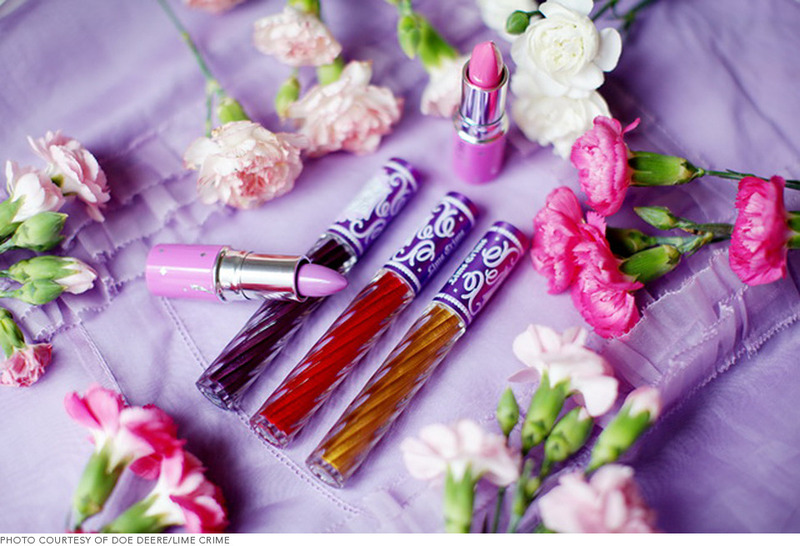 I believe that beauty should make you happy—whether it's blue lipstick, purple eye liner, or whatever! If it doesn't make you happy then what's the point? I've always viewed makeup as a tool of transformation—a magic wand, if you will—that can take you from your regular self to the best possible you. B: Tell us about your background as a clothing designer. How did you transition from one business to another? Early on I attended the Fashion Institute of Technology in New York City to study fashion design and illustration. Though I enjoyed it, I ended up dropping out early to start my own clothing line Lime Crime (yes, that’s how I got the name). Working as an independant designer taught me to understand trends. It was never meant to be a final destination, but a stepping stone in my entrepreneurial career. I began experimenting with making makeup around the same time and never looked back. I think people were always drawn to my look more than my DIY clothing line anyway. I’m very happy that things turned out the way they did—I have the best job in the world! B: What challenges did you face at the beginning of your start up? The hardest part was finding the right laboratory to partner up with. I needed someone who wasn't just excellent at what they did, but who believed in my vision and were willing to work with me directly. I have a lot of fun developing products from scratch and I hope it shows in the end! B: How have you overcome adversity and been successful? I've faced a number of obstacles in getting my business off the ground. Dealing with what people say about me online has been the hardest part. I’ve found that the way to rise above is to take criticism in stride, use it as an opportunity to learn and grow, and keep pressing on. It's all part of the process! B: You are very interactive and personal with your customers. How do you translate their needs, as well as your own, into a tangible brand? If I were to describe my approach, I would say I'm a listener. I take great interest in people, their needs, their struggles and dreams. I like ask to questions and really listen to what my customers are saying. Then I take that and marry it with my own wishes and desires. A great product lives in that space between me and my customer—it's always very personal! 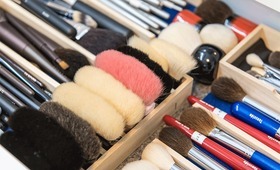 B: What advice do you have for young entrepreneurs looking to enter the world of beauty? Beauty is a highly competitive industry, but there is always plenty of opportunity. Right now, it's all about finding your niche: if you can offer people something no one else can, it will carry you to success. Making vegan-friendly cosmetics with a fantasy twist is what helped set us apart from other makeup brands. B: What’s next for Lime Crime? I always try to look forward, be daring, and outdo myself. 2013 is a year of big dreams for me and I’m doing all I can to make them reality. It's going to be a wild ride, I can already tell! 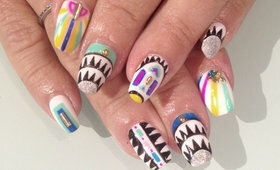 Nails That Look Like Exotic Silks? Yep, It’s Real.